Superior Raceways™ (patented*) offer the aquaculture industry a new and unique tool for farming a wide variety of fish, shellfish, and aquaponic vegetables – all improving local food security. Our floating raceways, sometimes called “in-pond raceways”, or “in-pond RAS”, systems, now permit local fish farming and locally grown, organic aquaponics in reservoirs, catfish and HSB ponds, quarries, mines, marshes, estuaries, and stump-filled ponds formerly unusable. 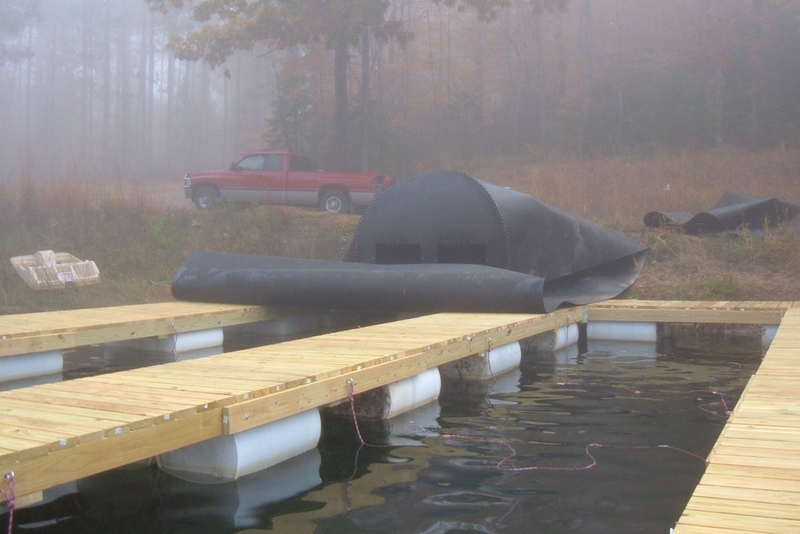 Installation of floating fish raceways in the Gulf Coast area of the United States. We’re excited to now offer a new and comprehensive portfolio of vertically integrated, community-building services, training, and management options for investors, farmers, non-profit service clubs, and raceway operators. Independent farmers or cooperative groups/families. Quasi-turnkey or sold as “kits”. A savings of 75% to 85% over fixed traditional concrete raceways. Flexible high density polyethylene (hdpe) plastic and stainless steel hardware. Superior Raceways are not only physically flexible, they are flexible to your aquaculture needs. Fish feces and uneaten feed is captured leading to improved water quality. Evolving from traditional heavy rigid fish boxes and fish cages, this system is superior for many reasons. Uniquely flexible, these portable fish tanks roll-up for easy transport or can be used as in-ground fish raceways. 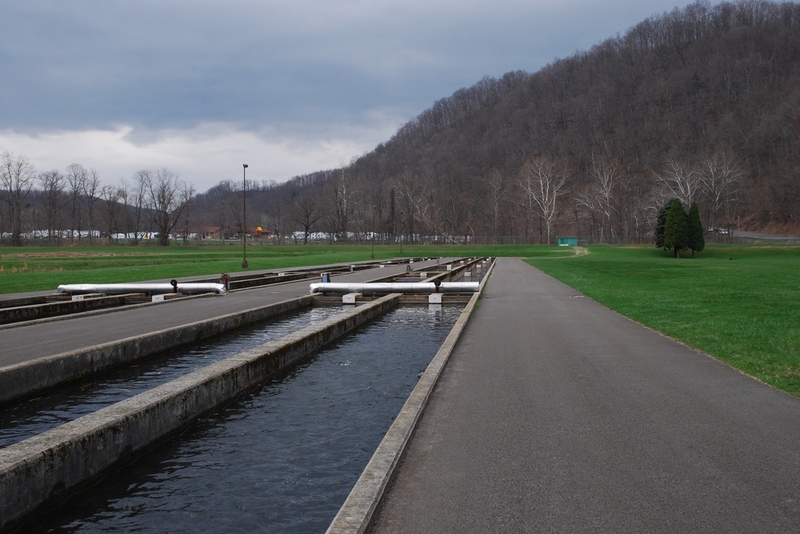 When used in fish hatchery operations the raceways can accommodate multi-site and multi-species use during the same year. Inside or outdoors, in freshwater or saltwater, Superior Raceways can handle a multitude of environments and applications. Superior Floating Raceways can be used in thousands of formerly unused bodies of water, e.g. quarries, reservoirs, swamps, or backyard ponds. Freshwater, or saltwater, from Northern Canada to the tropics, Superior Floating Raceways can handle it all. We can build you the docks to go with your raceways or supply you with the directions to do it yourself. Installed docks floating on food grade 55 gallon plastic drums. Free phone consultation of docks and raceway installation. On site assembly options are available. Rates vary by project. Fully installed floating fish raceway. Equipment assembly with optional blowers, cages for airlift grids, or other items of interest.